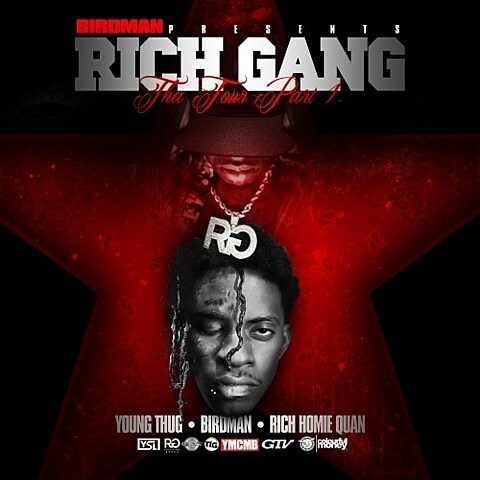 It’s only been a few months since Rich Homie Quan, Young Thug and Birdman dropped their stellar mixtape Tha Tour Part 1 as Rich Gang, and Quan told HotNewHipHop that fans could expect the follow up to the trio’s debut as early as Christmas Eve. The prospect of a part two hitting before Part 1 is finished topping year-end lists perfectly follows Young Thug and Rich Homie Quan’s prolific output in the mixtape and remix scene since scoring attention off their 2013 tapes/singles. Rich Gang spent November touring the south and the eastern seaboard, and their tour is hitting Chicago this month on December 26 at The Chicago Theatre. Tickets for that show are on sale now.